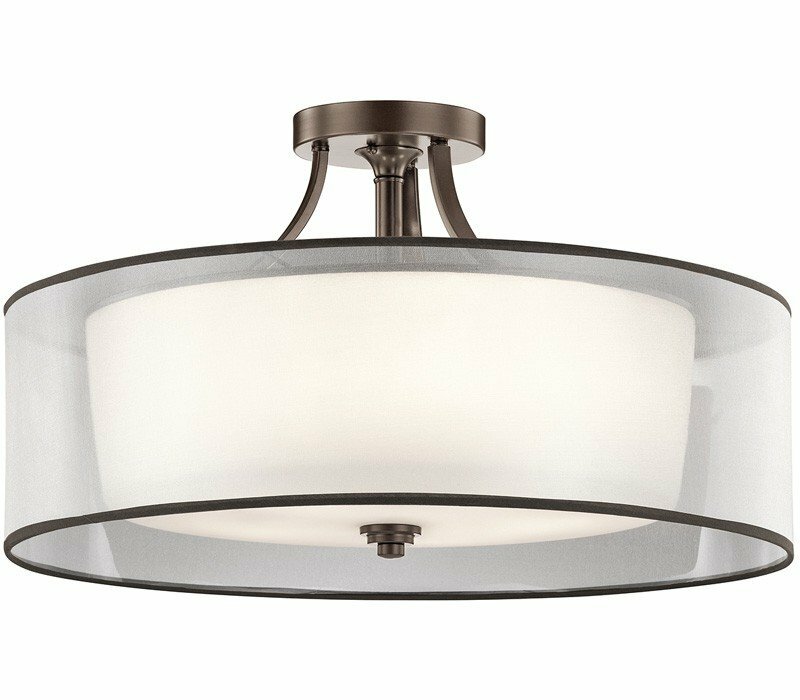 The Kichler Lacey Collection offers a beautiful contrast, melding the charm of Old World style with clean modern-day materials. 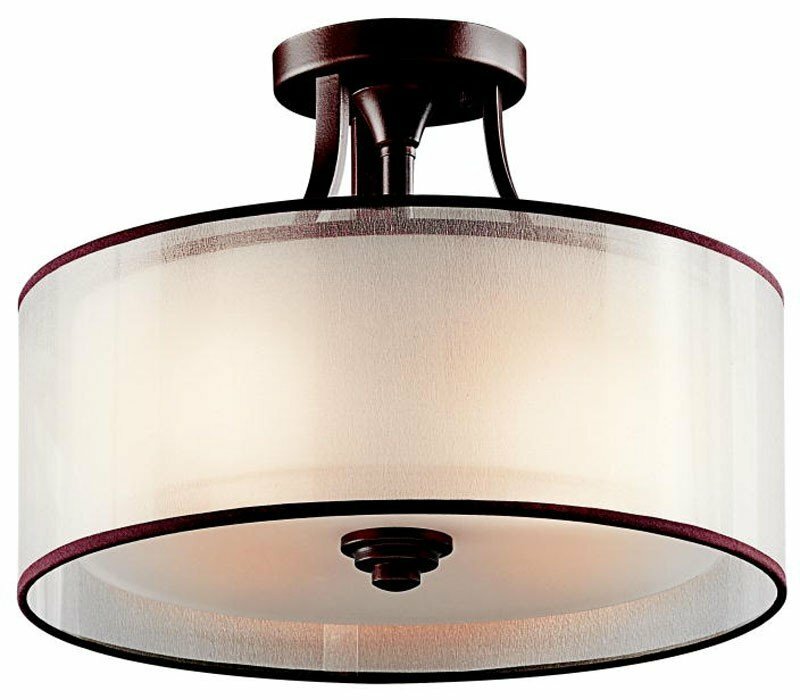 It starts with our new Mission Bronze Finish and bold, unadorned rounded-arm styling. 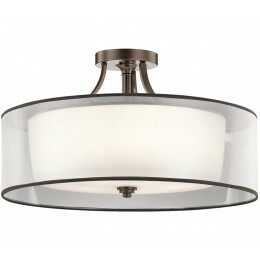 It finishes with avant-garde double shades made of decorative mesh screens and Opal inner glass. 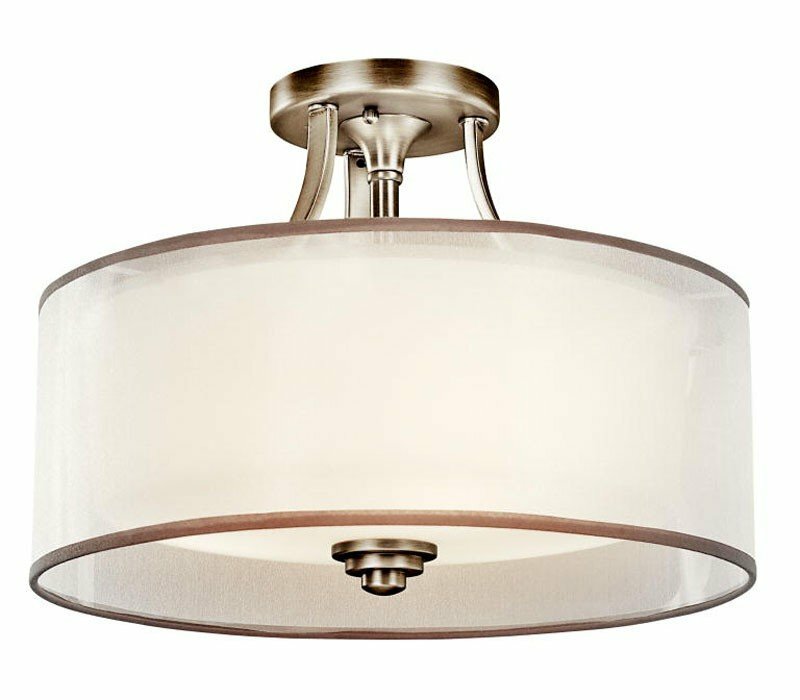 The result is a highly versatile collection to complement virtually every home decor. 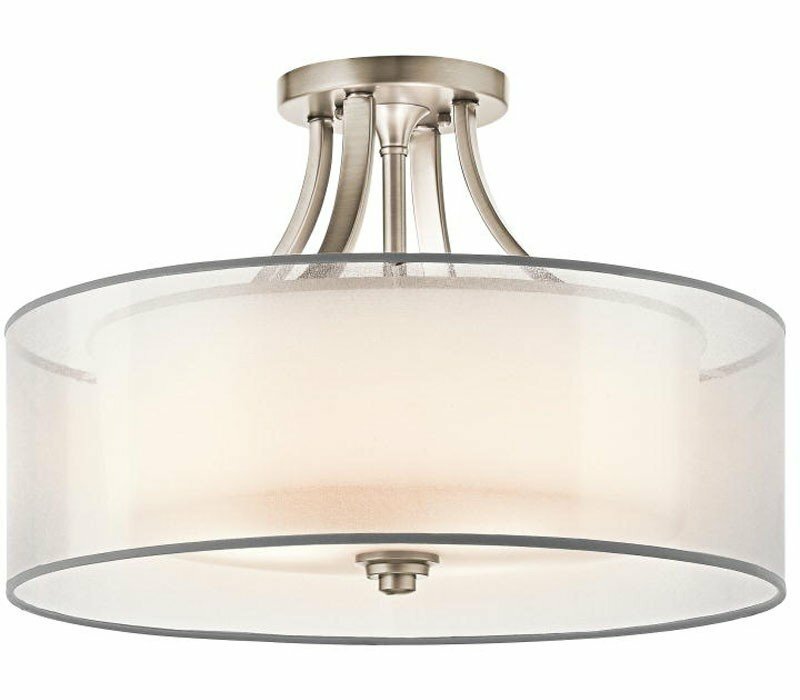 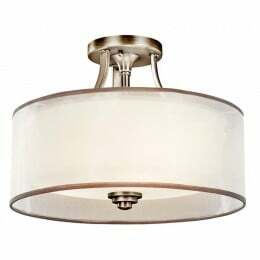 The Kichler 42386MIZ Lacey collection Close to Ceiling Lighting in Mission Bronze uses Incandescent light output and brings Contemporary style. 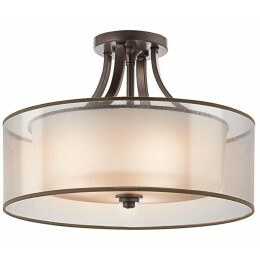 This item is 10.75"H x 15"W. The total wattage is 225 and the voltage is 120 volts. 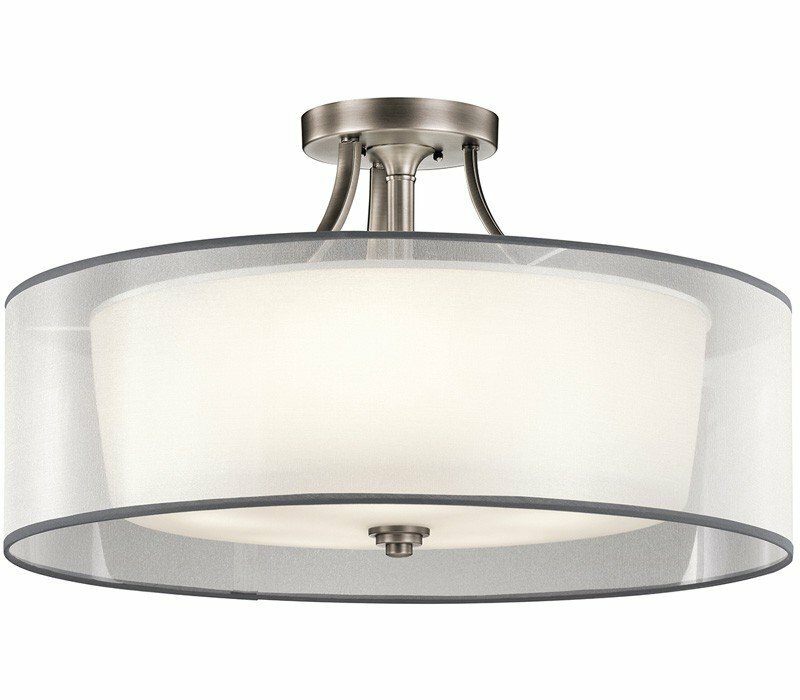 The Kichler Lighting 42386MIZ requires 3 bulbs (not included). 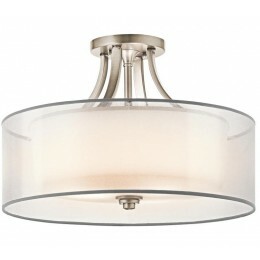 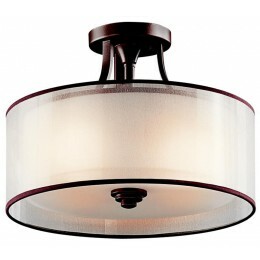 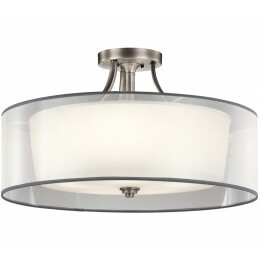 Additional Information: Shade-Cased Opal Inner Diffusers with Light Umber Translucent Outer Shades.